– Lunch and refreshments included along with a light breakfast. Become immersed in Peter Coulson’s knowledge, creativity, and his incredibly fascinating photographic World, as you experience his 2 Day Workshop – Designed to teach, inspire and reignite your creativity. The two days covers more content then most Photographic colleges teaches in 2 years! The focus is to teach you how Peter works technically, and how he works to achieves such a high standard of emotive, breathtaking and captivating photography; and how you can do this yourself! Peter is one of the only photographic educators teaching how to create better photos without the expenses of a high-end model, stylists, makeup artist & luxurious location. Creativity is limitless, the skills you will learn can enable this for the rest of your career, setting you distinctly apart & advanced from today’s industry standards. This intensive hands-on workshop is now available to purchase in full, or sign up to a payment plan! Click flyers for more details! Peter will be teaching you everything you need to know to create incredible studio images! Learn how and why Peter’s methods are so logical and liberating, teaching you how light truly works, how to change, manipulate it + how to develop your style & look. This intensive hands-on workshop will include 1-on-1 shooting, learning, as well covering model posing and communication – offering you fresh ideas on how to make photography and lighting simple and easy. Peter will be teaching you how to perfect Advanced lighting setups that still keep your photography simple, easy, clean and beautiful! He will be showing you his tips and tricks to multi-lighting set ups to really make your photos pop, as well as howto find the light within a studio and shoot only with natural light! This workshop also covers Peter’s photoshoot workflow, covering the start to end of a high-end photoshoot. 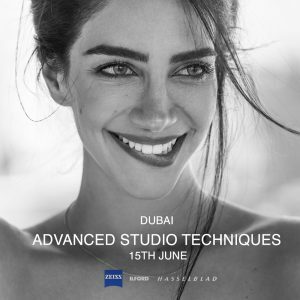 This workshop is an intensive hands-on day of learning, perfecting and shooting Beauty and Fashion. Perfect for photographers that are wanting to expand their knowledge on studio photography. Weddings, Children & Family, New Born, Fashion; any type of Photographer will be able to adapt Peter’s Natural Light skills and techniques to dramatically improve their photographic skills and business! Click flyer for more details!